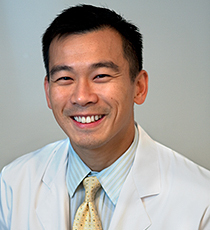 During his fellowships, Dr. Yeh acquired advanced medical and surgical retina training in macular diseases, uveitis, retinal detachment repair, ocular tumors, retinal degenerations, and ocular trauma. While at the National Institutes of Health, he conducted research in diagnostic imaging for posterior uveitis and immunotherapies for uveitis, as well as translational research investigating the mechanisms of rare autoimmune eye diseases. His clinical areas of expertise include advanced diagnostics for the care of adult and pediatric uveitis, age-related macular degeneration, diabetic retinopathy, retinal vascular disease, and retinal detachment surgery. Dr. Yeh has published more than 80 peer-reviewed publications and abstracts, many of which have been presented at premier ophthalmology conferences and meetings. He received recognition as a Heed Ophthalmic Foundation Fellow and was presented the Ronald G. Michels Fellowship award. He currently serves on the Ophthalmic Technology Assessment Committee and the Uveitis Knowledge Base Panel of the American Academy of Ophthalmology (AAO). Dr. Yeh has also received the Honor Award from the American Society of Retina Specialists (ASRS). He serves as a manuscript reviewer for several journals including Investigative Ophthalmology and Visual Science (IOVS), the Archives of Ophthalmology and the American Journal of Ophthalmology.